School lunch has been an issue brought up again and again over the past year. 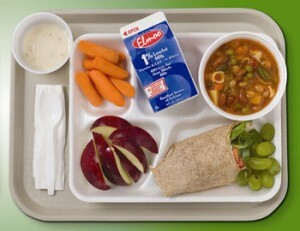 How do schools work within their budgets, but at the same time provide nutritious and quality food to growing kids. Keeping it affordable is usually the main driving factor, which is why some schools classify pizza as a vegetable. One Vermont school, Harwood Union, has made the effort to combat this issue by keeping it local and embracing a farm to school outlook. They coupled this with the hiring of a professional chef. Harwood is one of 200 Vermont schools that participate in some sort of farm to school initiatives. To read more about Harwood's efforts click here: Vermont Life Magazine - Winter 2011 - 2012.